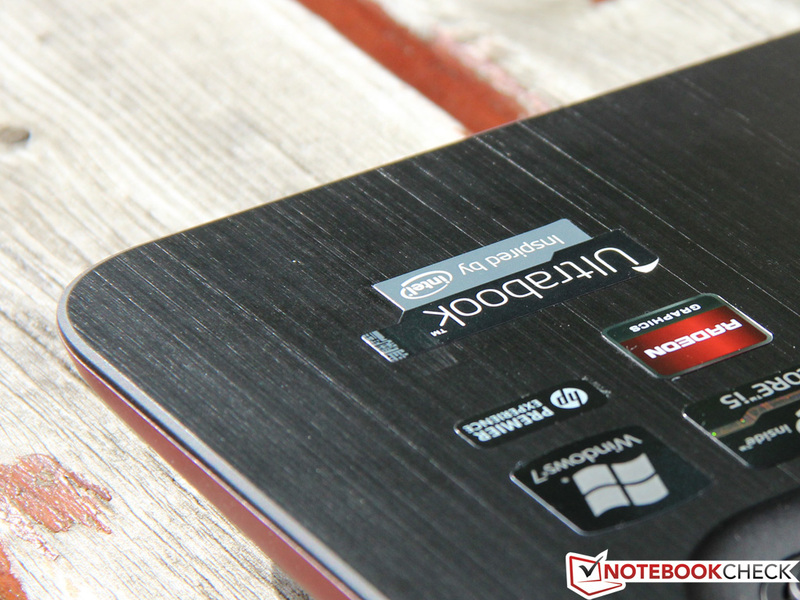 More than just an Ultrabook? 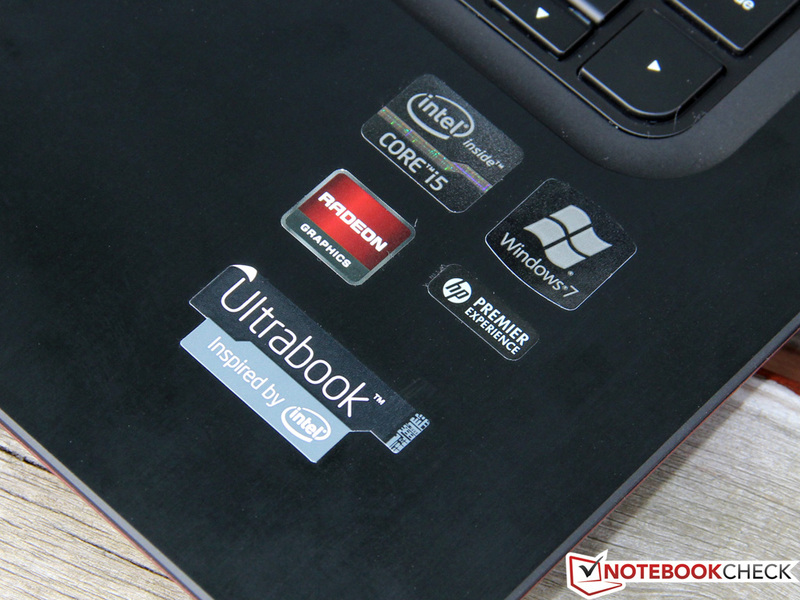 Most Ultrabook buyers have to sacrifice performance in favor of enhanced mobility. HP's Envy 6 bucks the trend, and aims to woo gamers with a dedicated graphics card, all while delivering good value for money. 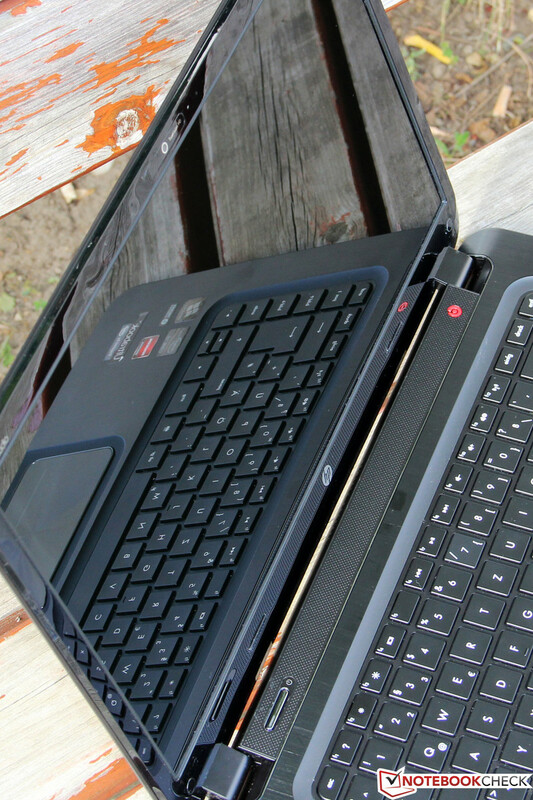 Unfortunately, the slim 15-inch model isn't much use outdoors. While the first generation of Ultrabooks almost exclusively fell into the compact 13-inch category, we've recently witnessed the introduction of more and more models with larger screens. Many of these try to make up for the slight loss of portability with a longer features list and the performance gains that can be achieved with a dedicated graphics card. 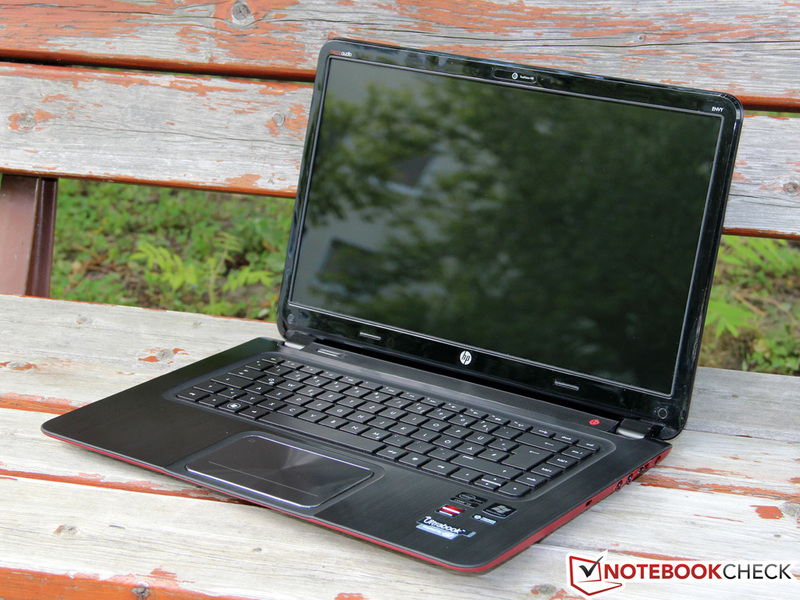 The Envy 6-1000g is HP's first attempt in this area of the market, after previously releasing smaller models, such as the Folio 13 or the Envy 14 Spectre. 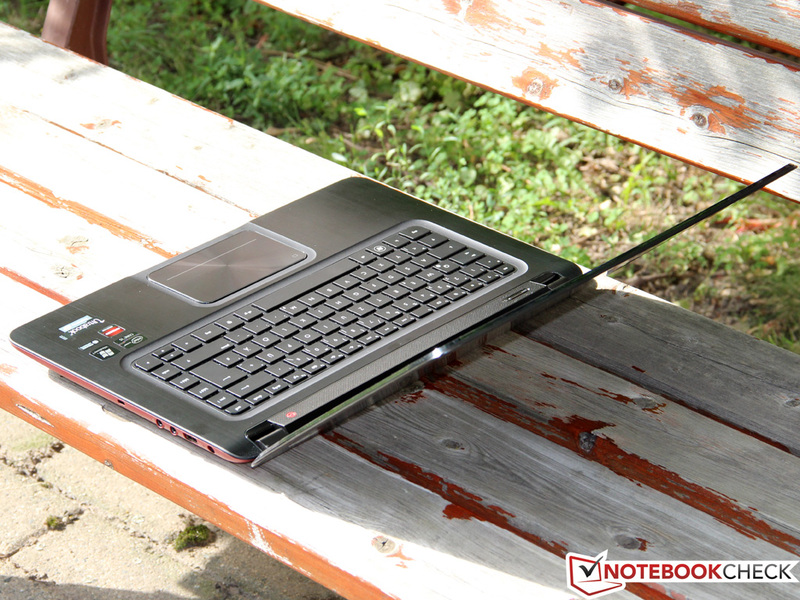 Like all Ultrabooks, the Envy 6 is equipped with an Intel ULV processor, and the choice has come down to the Core i5-3317U, which hails from the latest Ivy Bridge generation. 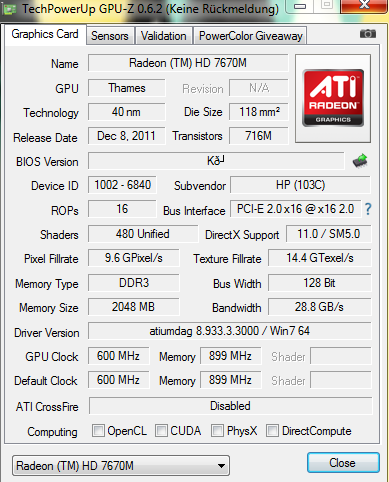 Also part of the package is a dedicated AMD Radeon HD 7670M graphics card, which should find the approval of gamers. The relatively modest price tag of less than 800 Euros (~$1034) forces some compromise in the memory department: 4 GB of RAM are at the lower end, and a 320 GB hard disk (albeit with the help of a 32 GB SSD cache) is average at best. Thanks to the integrated 4-cell battery, HP promises a battery life of up to 8 hours. Unfortunately, the only display on offer is a glossy 15.6-inch panel with a 1366x768 pixel resolution, but that's typical for the target price range. Here, the Envy 6 will have to compete with rivals such as the Acer Aspire TimelineU M5-581TG, another gaming capable 15-inch Ultrabook. 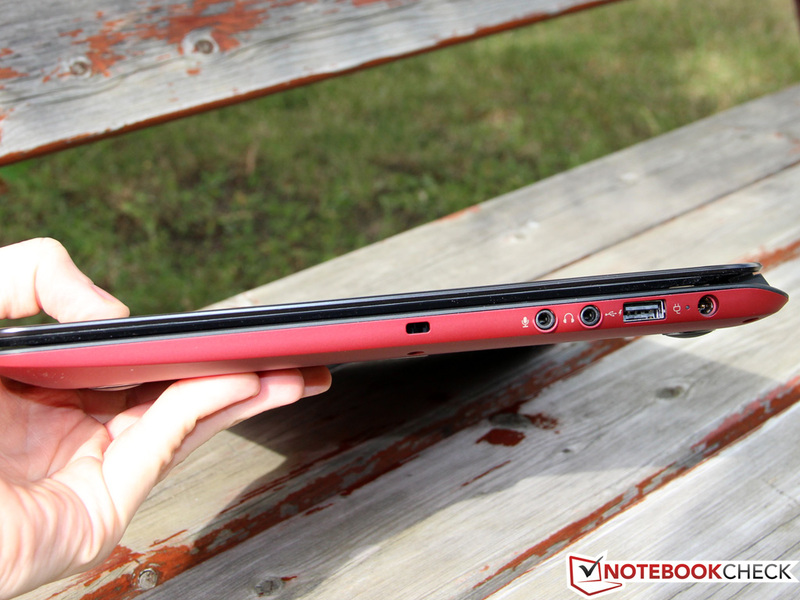 Apart from the slim profile characteristic of Ultrabooks, the Envy 6 immediately impressed us with its beautiful design and excellent materials. 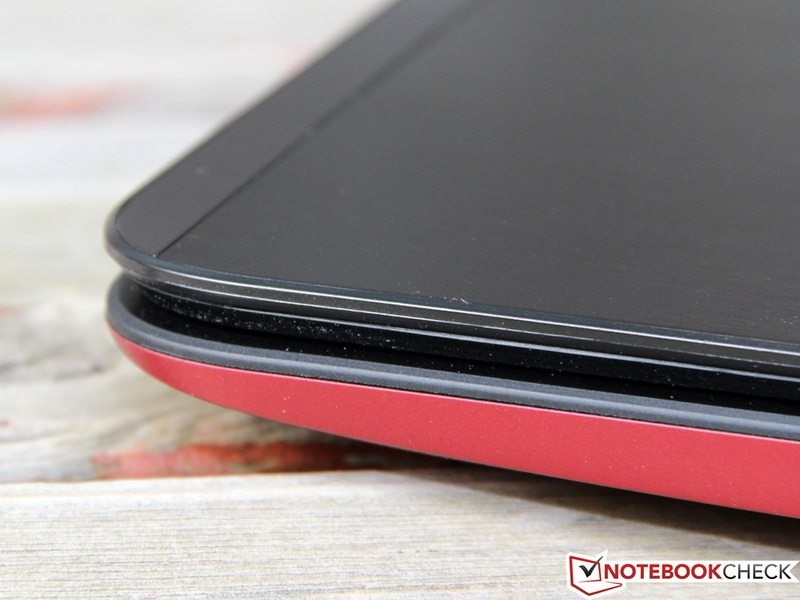 While the back of the display and the top of the chassis are finished in black matte aluminum, the red underside offers a stark contrast - just in case you often find yourself looking at the laptop from below. Attention to detail is reflected in the chrome-look framing of the touchpad, adding to the impression of high build quality that even puts some of the pricier Ultrabook competitors to shame. Unfortunately, the case attracts dirt and finger prints all too easily - frequent use of a cleaning cloth is compulsory. For a 15-inch laptop, the weight of only 2.15 kg (4.7 pounds) is extremely light, underscoring the mobility aspirations of the Envy 6. In addition, the thickness of less than 2 centimeters (0.78 inches) is just 2 mm (0.08 inches) more than the smaller Asus Zenbook UX32VD. With these numbers, one has to ask: did HP take any shortcuts when it comes to stability? Fortunately, that's not the case: Especially the base unit is very rigid, thanks to a thick aluminum plate. The rubberized bottom covering also proved to be solid enough, despite its simple plastic construction. 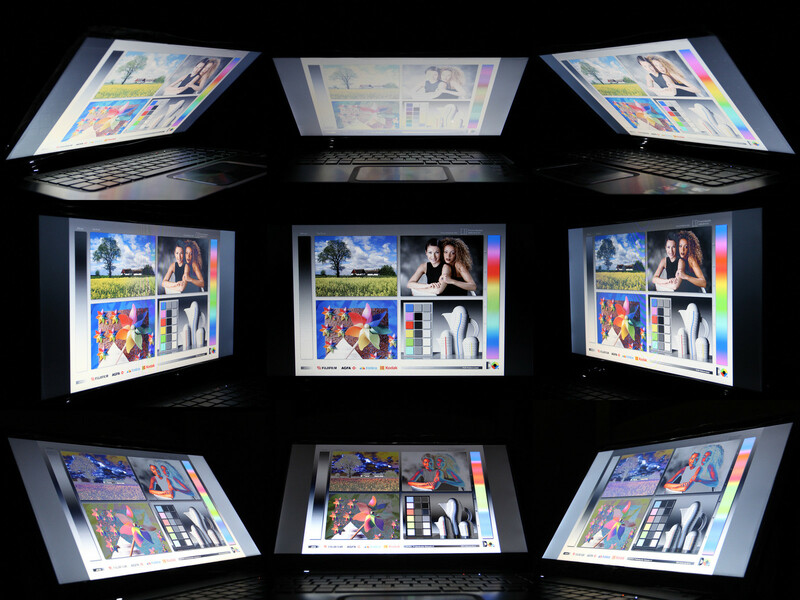 The display cannot quite keep up and can be visibly flexed. Given that the hinges are very tight, both hands and a bit of care are required to open up the display. 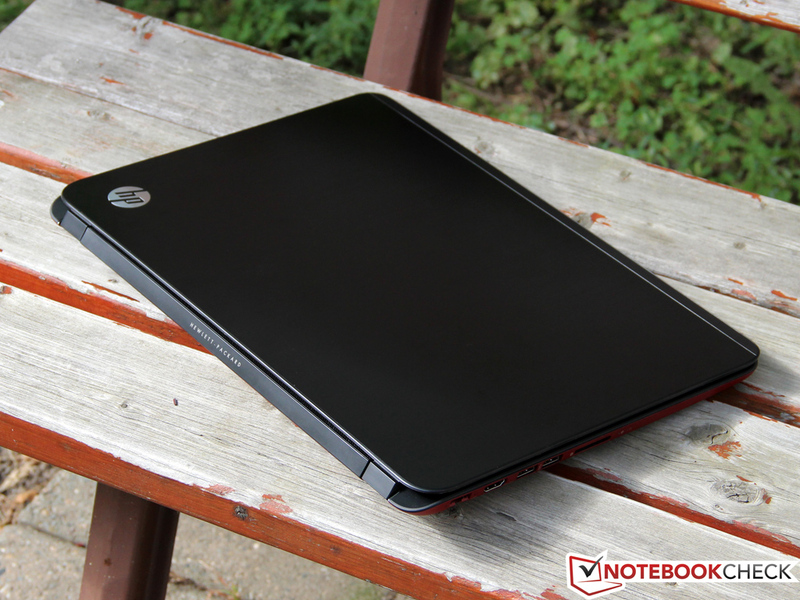 Apart from this minor shortcoming, the Ultrabook has a remarkable touch and feel to it and oozes build quality. 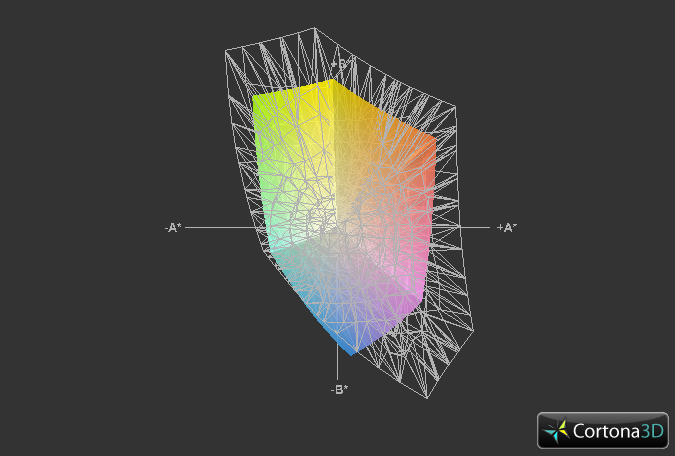 Material transitions reveal no sharp edges or uneven spacing. The HP does not quite reach the lofty quality standard of Apple's MacBooks or Dell's XPS series, but in its price range, the build quality is second to none. 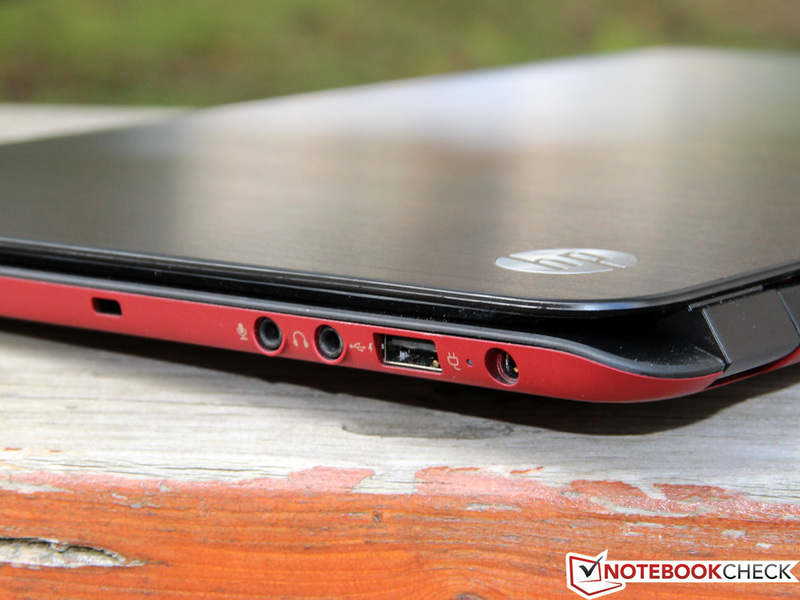 An Ultrabook is primarily a travel companion, and neither designed for, nor capable of, replacing a full DTR Notebook. This is reflected in the limited range of connectors, and our test candidate is no exception. At least, we find 3 USB ports, two of which support the fast SuperSpeed standard, aka USB 3.0. 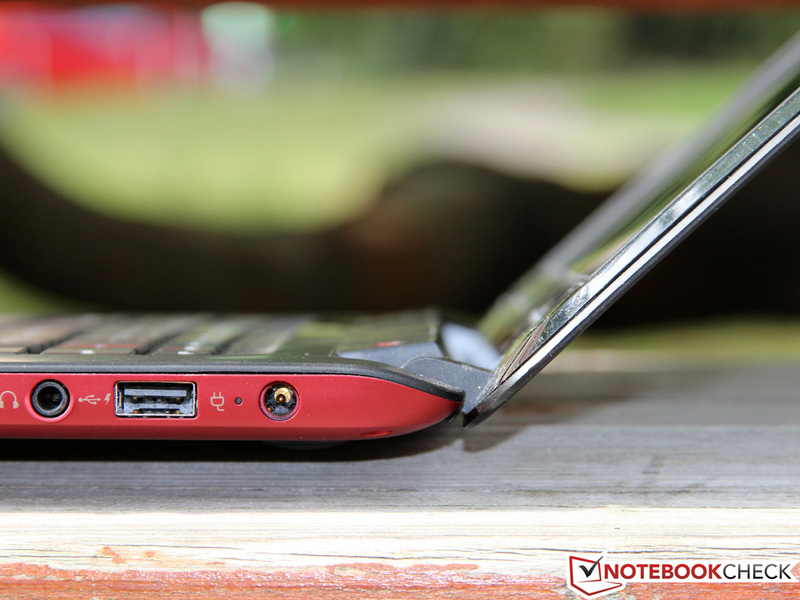 In addition, the single USB 2.0 port offers the possibility of charging Smartphones or MP3 players while the notebook itself is switched off. The rest of the ports on the Envy 6 are standard fare: HDMI, Gigabit Ethernet, a 2-in-1 card reader (SD, MMC) and the obligatory audio sockets - we did not find any particular highlights like a DisplayPort. The user even has to make do without an analog VGA port. 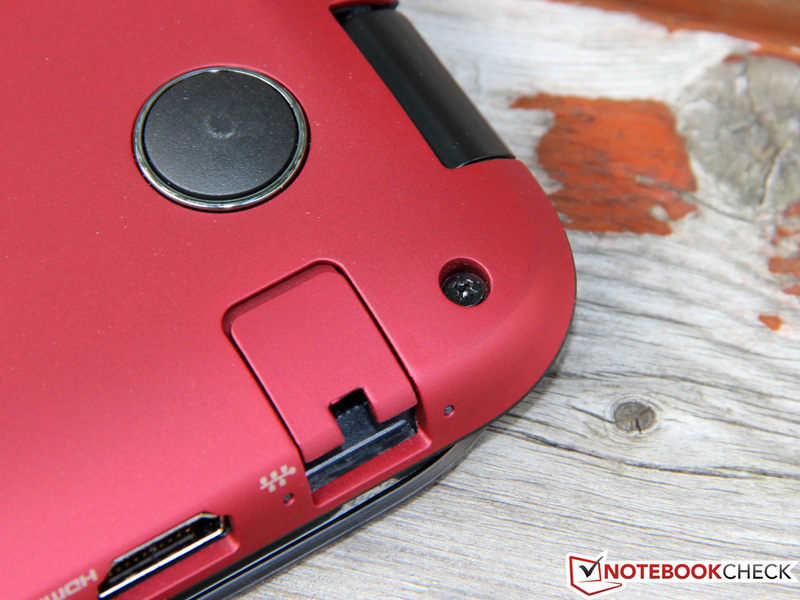 HP has squeezed all connectors near the rear on both sides of the chassis. In some instances, the spacing between them can be a bit too tight, for example, a thick USB stick might block neighboring ports. We also don't particularly like the poor accessibility of the card reader or that of the microphone and headphone jacks, which we would have preferred to have seen nearer to the front. 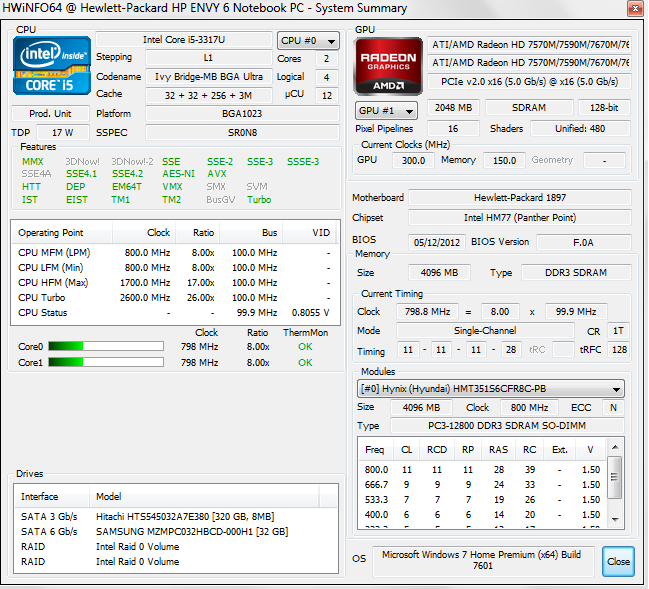 HP has opted for a WLAN card in mini PCIe format made by Broadcom, the 4313GN (1x1) to be precise. This low-end model only transmits in the 2.4 Ghz band, and supports 802.11 b/g/n standards. Neither the range nor the maximum transfer rate (72 MBit/s BRUTTO) left a particularly good impression during our test, and could become a problem when connecting to more distant Wi-Fi hot spots. At least the adapter also supports Bluetooth, but only the older 3.0 + HS (high speed extension) variant. HP does not offer a UMTS (3G) option. 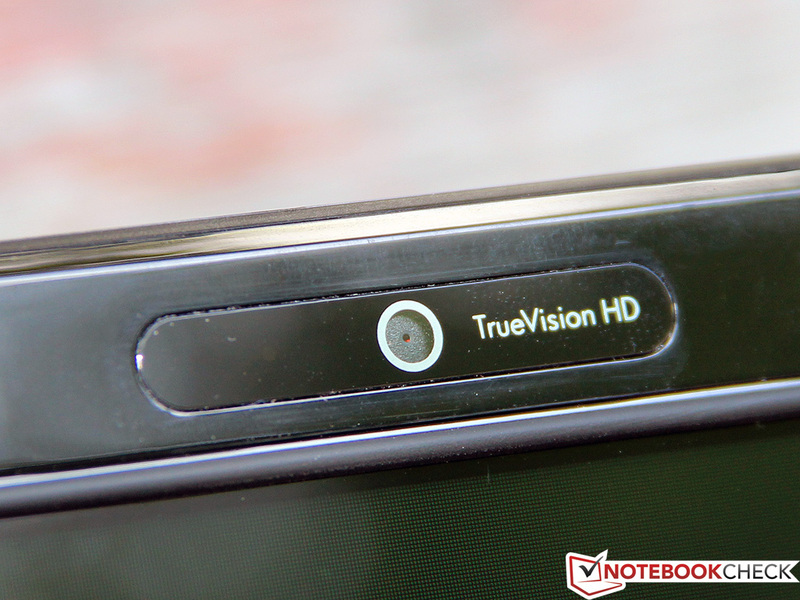 The "TrueVision-HD-Webcam" is integrated in the display frame, and capable of 1.3 Megapixel resolution. Image quality is at best average; neither sharpness nor noise level are particularly convincing. On the upside, the sensor delivers a fluent video stream, even at maximum resolution. The built-in microphone delivers slightly tinny and hollow sounds, only really usable for applications like Skype. The HP Envy 6-1000sg comes shipped with a battery, 65 Watt power adapter, a few brochures and warranty papers included in a slim box. The manufacturer does not provide any additional extras, like recovery or driver media. The preinstalled Windows 7 Home Premium 64-bit operating system is mostly free of annoying tool bars or trial versions, but all the useful standard programs like Adobe's Acrobat Reader or Microsoft Office 2010 (starter edition) are on board. In addition, there are a couple of more or less useful manufacturer tools. The HP Security Assistant lets the user manage passwords or create backups; the Connection Manager provides an overview of network connections. The lack of a service cover makes user serviceability rather cumbersome: A total of nine screws have to be removed from the underside before the case can be carefully jimmied open. After you've cleared this first hurdle, however, most components of the Envy 6 can be replaced with relative ease. While the 2.5-inch bay and the mSATA slot are already occupied, there's nothing to prevent you from upgrading the RAM. The Wi-Fi module could also be exchanged by the user, although the single antenna means that faster adapters will have limited use. 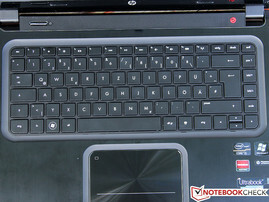 According to a sticker on the bottom, HP offers a two-year manufacturer's warranty. This time span can be extended to a total of three years with an optional upgrade called "Care Pack", for a price of about 120 Euros (~$155), depending on the seller. 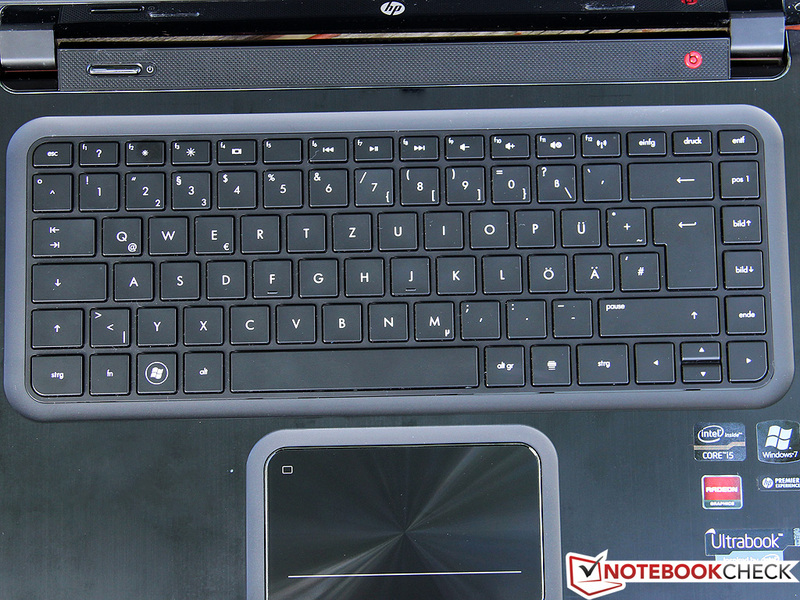 HP has equipped the Envy 6 with a generous full-size chiclet-style keyboard, but sadly there is no numbers block. On the upside, the user can take comfort in the 15 x 15 mm (0.6 x 0.6 in.) 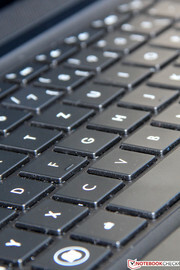 keys, which facilitate the transition from an ordinary PC keyboard. Neither the manufacturing quality nor the stability leave much to criticize, only a slight flexibility in the middle part tempers the overall convincing picture. Apart from the fact that the space key got stuck on our test sample, the positive impression carries over to the typing comfort. Key presses require very little effort, with a relatively short key travel followed by a precise and well-defined pressure point. The tactile feedback would be even better with more structured key surfaces and slightly larger spacings between the letters, for which there would be enough room, as the 35 millimeters (1.38 inches) of free space on either side of the keyboard show. Particularly fast typing results in a slight rattling noise of the keys, but that did not really bother us. Like the keyboard, the touchpad is also inset in the aluminum cover of the base unit by several millimeters, which helps to clearly mark the input surface from the surrounding palm rest. Unfortunately, the slightly glossy finish of the Synaptic pad only works well with perfectly dry hands - sweaty fingers will cause considerable resistance. Multi-touch gestures like pinch-zoom are no problem, thanks to the impressive 11 x 7 centimeter (4.33 x 2.76 inch) dimensions, and can be configured according to user preferences in the driver panel. 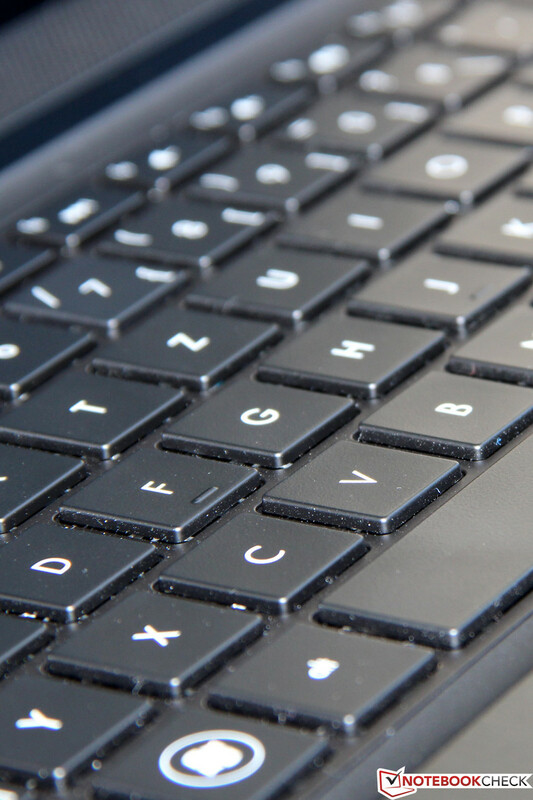 The mouse keys are integrated directly into the underside of the touchpad, and require a firm press. Even after a click is registered, the keys can be impressed a further 1 to 2 millimeters (0.04 to 0.08 inches), which does not inspire the highest degree of confidence in the mechanics. This behavior is commonly found on models from other manufacturers as well, that are of a similar design. For several years now, a resolution of 1366x768 pixels has been the norm for entry-level and mid-range notebooks in 15.6-inch format. If you want more than the resultant 100 dpi pixel density, you'll often have to dig much deeper into your pockets. Even more disappointing than the low resolution, however, is the weak background illumination, which only manages a maximum screen brightness of 158 cd/m². For comparison, some other Ultrabooks like the Asus Zenbook UX31A are more than twice as bright. While this may not be necessary for indoor use, it does come in very handy outdoors - but more on that later. Our disappointment extends to the other measurements as well. The contrast of 195:1 is just as pale as we've grown used to from many other TN panels. 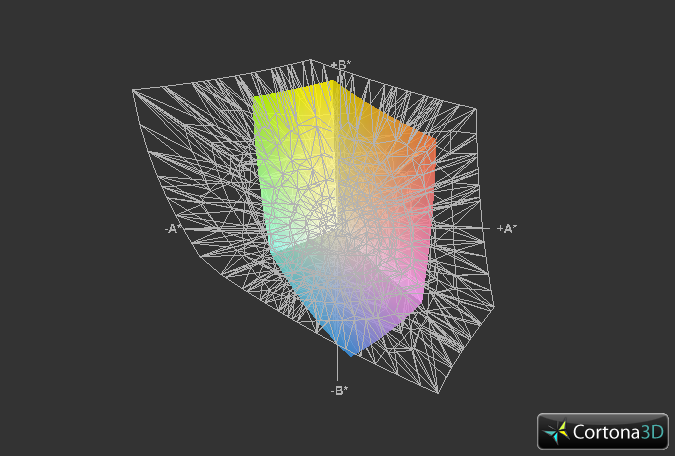 Much of the blame falls on the too high black level of 0.84 cd/m², which can be felt particularly in high contrast movies or games. Dark screen areas appear as if overcast by a gray veil, something our test candidate has in common with most of its competitors. 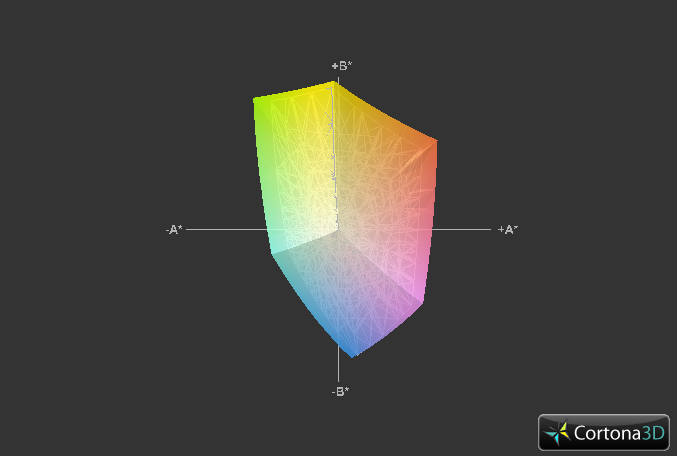 While not relevant for the majority of potential buyers, we'll also take a look at the display's color range. 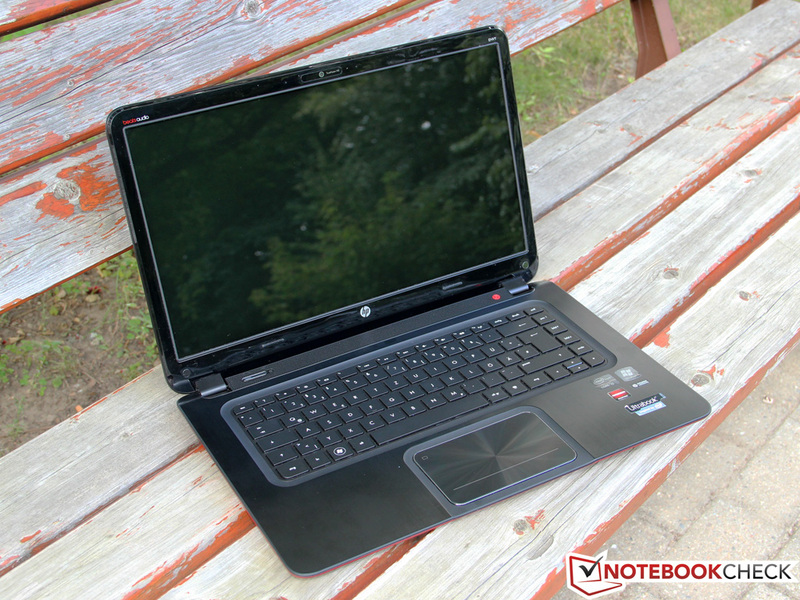 Unsurprisingly, it neither covers the sRGB nor the AdobeRGB color spaces, which limits the notebook's usability for specialized graphics applications or professional photo editing. 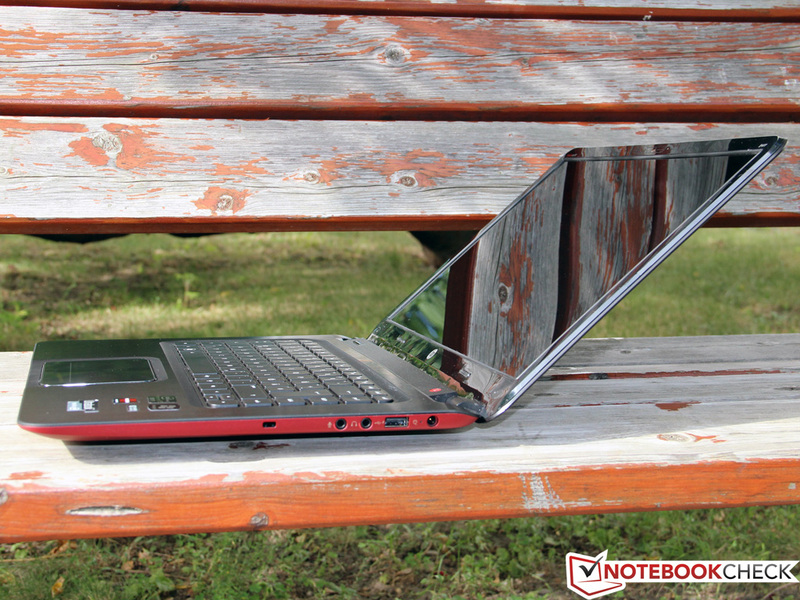 When a notebook is as mobile as the Envy 6, unlimited outdoor readability is of the essence. 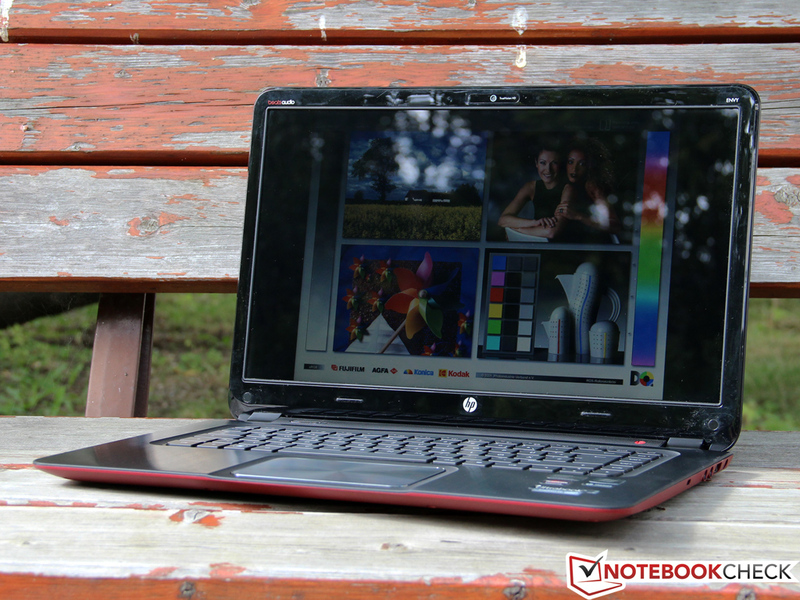 Unfortunately, HP falls short on two fronts: In combination with the much too low display brightness, the glossy finish makes images hard to see even outside of direct sunlight. The manufacturer really needs to get its act together here. Our final discipline, the measurement of viewing angles, is no strong suit of the display either. Typical of TN panels, even a slight variation of seating position results in a noticeable decrease of image quality. The vertical is particularly hard hit, but even in the horizontal, the Envy 6 cannot compete with the (admittedly much more expensive) Zenbook UX32VD. 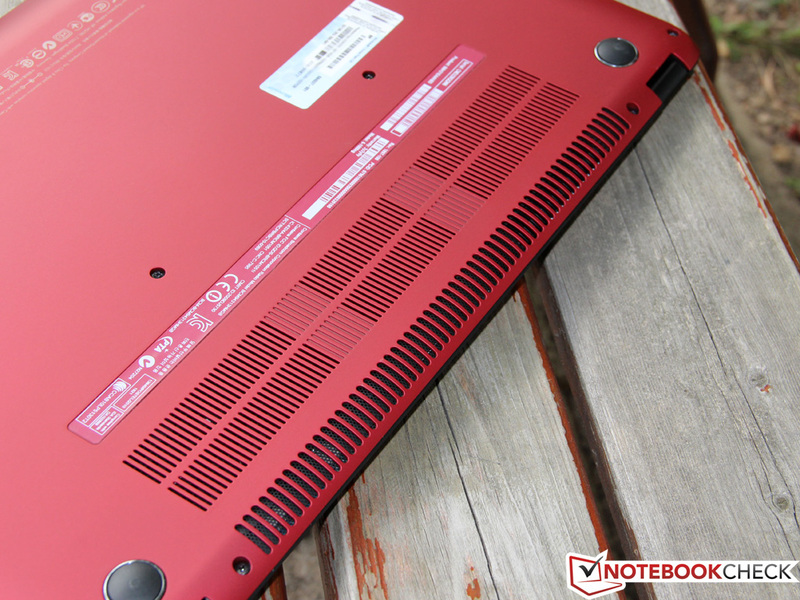 A thin laptop requires a ULV processor in order to officially qualify as an Ultrabook, according to the specifications of Intel, "inventor" of the category. 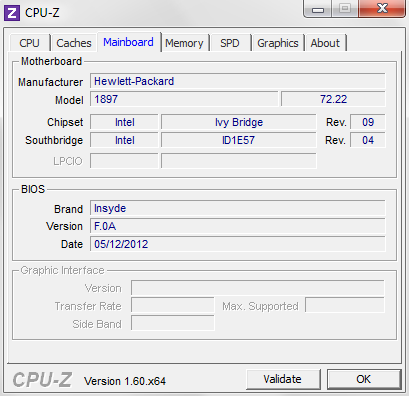 HP has opted for the midrange model Core i5-3317U , a 1.7 GHz dual-core CPU of the current Ivy Bridge generation. Like all Core i5 (and Core i7) processors, the 3317U features Intel's Turbo Boost 2.0 technology, which enables the clock speed to increase in steps of 100 Mhz, up to a maximum of 2.6 Ghz (2.4 Ghz in dual-core mode). Multithreaded software can benefit from Hyperthreading, where each core executes two threads in parallel. In terms of power consumption, the 22nm CPU is quite moderate: like all ULV models, the TDP is specified at only 17 Watts. 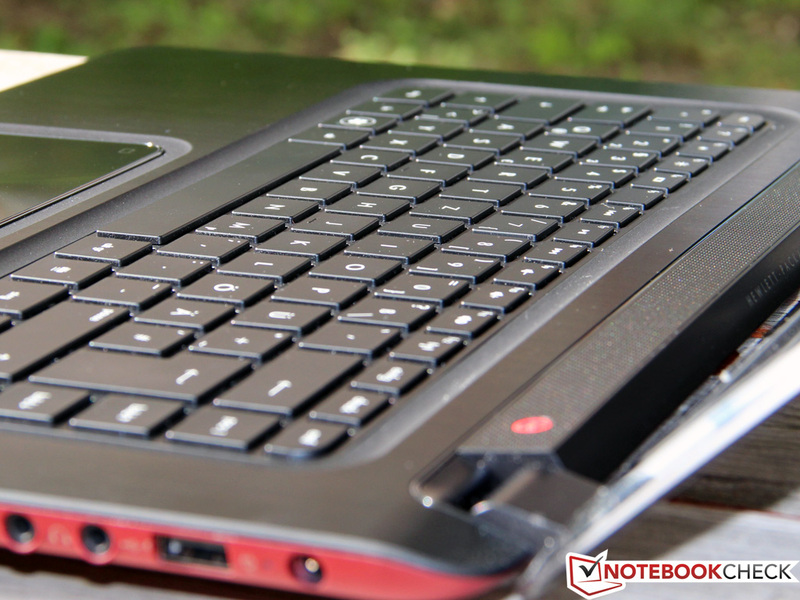 While most Ultrabooks have to make do with the HD Graphics 4000 option integrated into the chipset, the Envy 6 comes equipped with an additional dedicated graphics card. After most of the models we've had for review recently featured NVIDIA’s Kepler series, we are surprised to see the choice of the slightly older Radeon HD 7670M. AMD's card also enables dynamic graphics switching (which the manufacturer calls "Dynamic Switchable Graphics" or "Enduro") comparable to Optimus, so that no power goes to waste in idle mode. 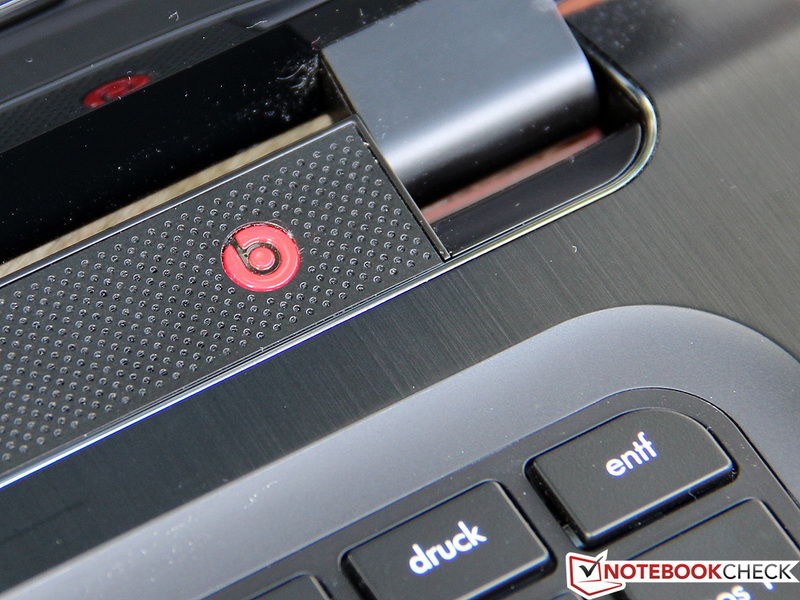 The RAM is specified at a minimal 4 GB (1 module of DDR3-1600 made by Hynix), and the 320 GB hard disk is also a common choice for entry level notebooks. 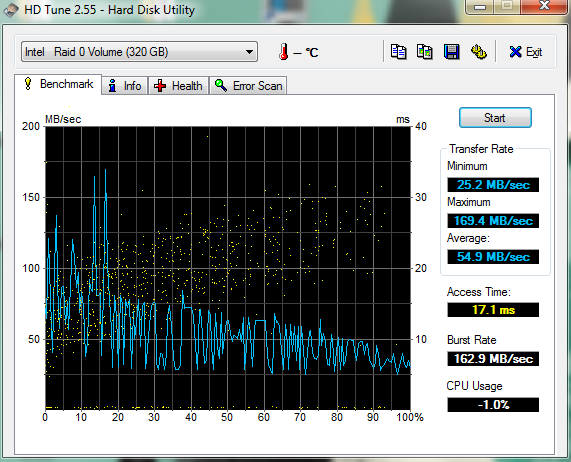 At least, HP also provides a 32 GB SSD cache, which should increase responsiveness. 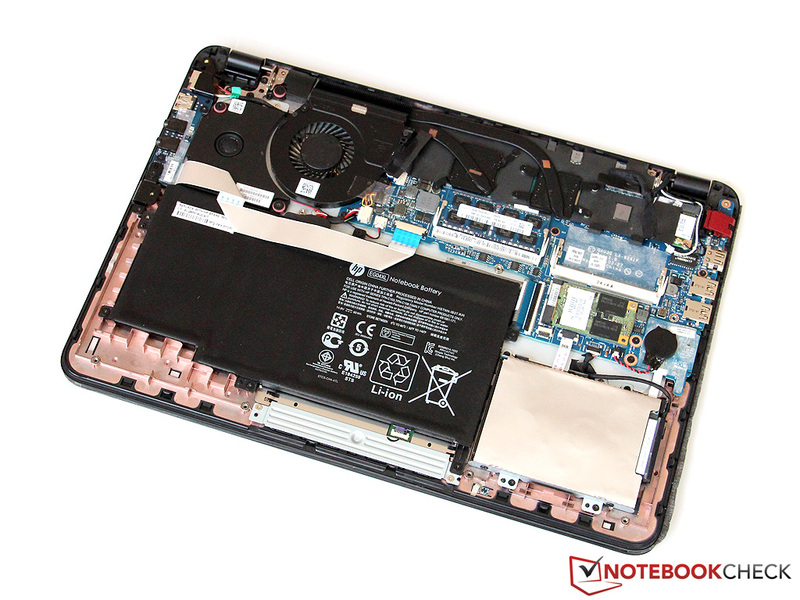 Since we already know the Core i5-3317U from a number of other Ultrabooks, the CPU performance of the model under review is easy to evaluate. The deciding factor now becomes whether the CPU can make full use of the turbo frequencies - and that's the case on the Envy 6, both plugged in and on battery power. The Cinebench R11.5 score of 2.39 points is just as good as the results of the single-thread mode of the Cinebench R10, which come in at 4267 points (all in 64-bit mode). 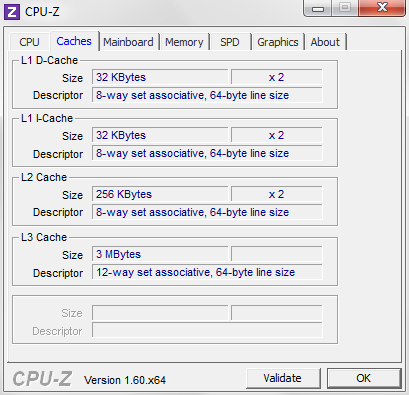 You will find many more benchmark results in the corresponding page of our CPU database. Compared to ordinary 35 Watt models like the Core i5-3210M, the ULV CPU trails by only 20%, hardly noticeable in practice. For most applications and games that's more than enough power, only the most demanding software like HD video editing and advanced graphics processing will on occasion make you wish for a quad-core chip. Needless to say that such a level of performance would be hard to combine with the portability and stamina of a lightweight Ultrabook. More and more manufacturers go for a combination of a classic HD and a fast SSD cache - not surprisingly, since it offers a well-balanced compromise of capacity and performance at an attractive price point. From the point of view of the user, this RAID configuration works completely seamlessly. The most frequently used data is automatically stored on the SSD, and in an ideal case, the much larger access time of the hard disk never becomes an issue. Inside the Envy 6, we find a Hitachi HDD (HTS545032A7E380, 320 GB), as well as an mSATA drive made by Samsung (PM 830, 32 GB). 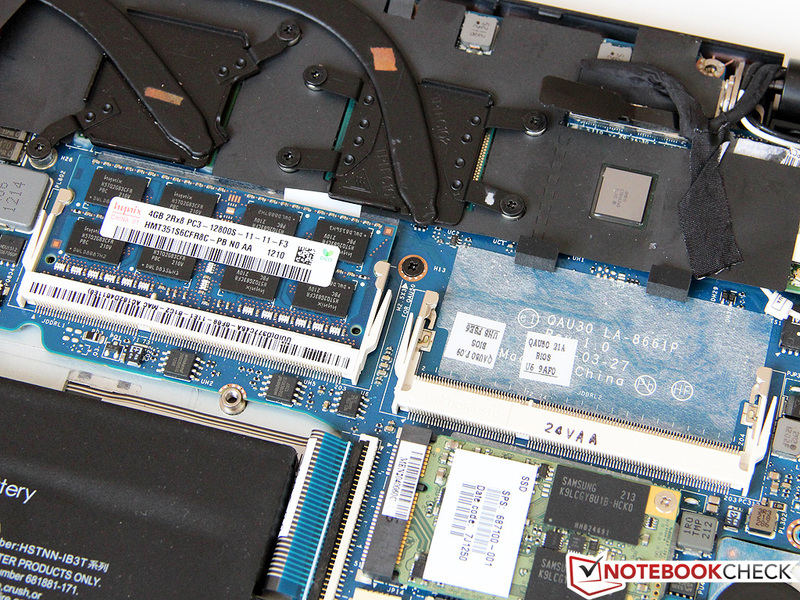 While the hard disk isn't a particularly fast one, with 8 GB of cache and spinning at 5400 RPM, the performance of Samsung's current SSD generation had already impressed us in several previous tests. 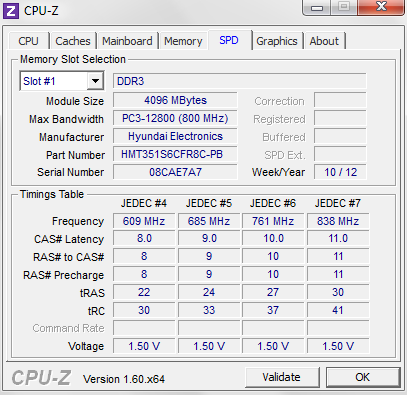 At least according to our benchmarks, HD Tune and CrystalDiskMark, however, the combination does not seem to work together that well. 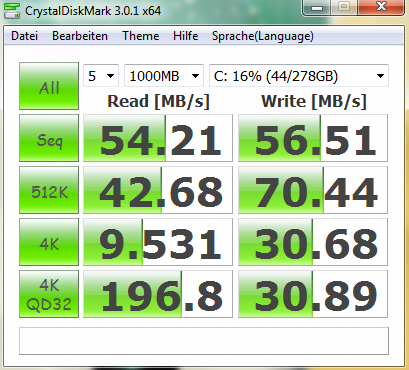 The average sequential transfer rate of about 55 MB/s is even lower than what the HDD should be capable of on its own. For small 4K files, we were able to witness much better results, in line with our expectations for flash memory. The fact that the SSD cache is still worthwhile becomes apparent in the system performance benchmarks of the PCMark series. 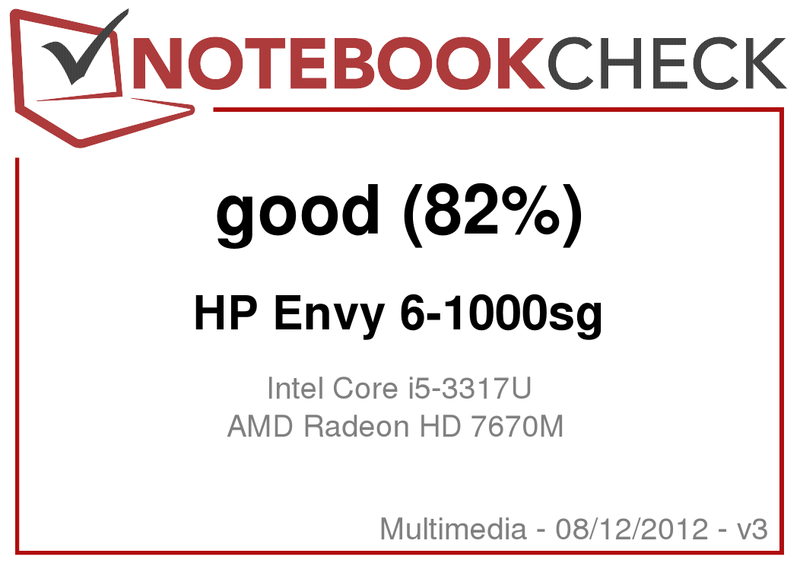 Here, scores of 7436 points in PCMark Vantage and 3528 points in PCMark 7 place the Envy 6 right in between notebooks with only mechanical hard disks, and those with full SSD drives. Several days of real-life tests have left us with a similar impression. At just 25 seconds, the startup process is completed noticeably quicker than on comparable notebooks that don't benefit from the additional cache. Frequently used programs like the web browser start almost instantly. Naturally, larger data sets that don't fit inside the SSD do not show any signs of improvement. Contrary to the cards of the 7700M, 7800M and 7900M series, the Radeon HD 7670M is still manufactured in the old 40nm process, and is based on the 5D shader architecture of the HD-5000 series, to the detriment of energy efficiency. 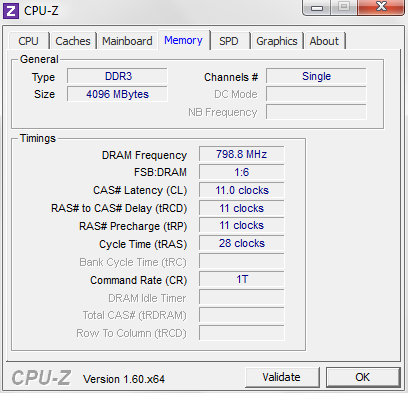 As specified by AMD, HP runs the 480 shader units at 600 Mhz, and connects 2 GB of DDR3 VRAM (900 Mhz) via the 128-bit memory interface. Overall, the HD 7670M reaches about the same level of performance as an NVIDIA GeForce GT 620M/630M, which ranks in the lower midrange. In the performance preset of 3DMark 11, the final score was 1172 points - similar to the Zenbook UX32VD, but with its speedy GeForce GT 640M, the Timeline Ultra M3-581TG leads by more than 50 percent. On battery power, the GPU throttles its frequency to 400 Mhz, which significantly limits 3D performance (3DMark 11: 700 points). While that's still a bit faster than the integrated Intel HD Graphics 4000, HP clearly sacrifices some graphics performance in favor of a longer battery life. The Radeon HD 7670M, as well as the identical HD 6650M have made it to our test bench several times - you will find the corresponding bench marks in our GPU database. In line with expectations from the synthetic 3DMark test, in games, too, the graphics card performs pretty much on par with the GeForce GT 620M, which makes it see eye to eye with the Aspire V5-571G: Many current games, like Deus Ex: Human Revolution or Anno 2070 are playable at the display's native resolution of 1366x768 pixels and medium detail settings. 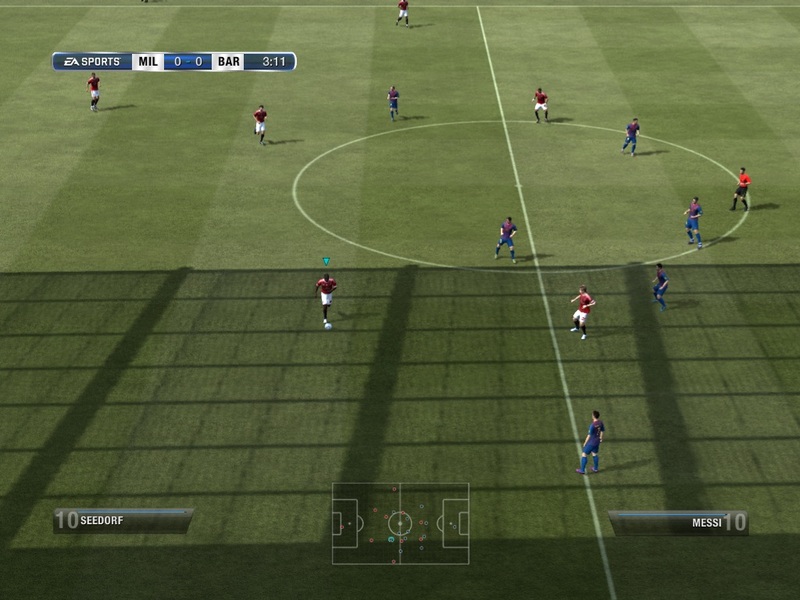 Particularly demanding titles, such as Alan Wake, may require somewhat reduced settings, while older or less complex games like FIFA 12 leave some performance reserves, that can be used for additional features such as anti-aliasing or anisotropic filters. Compared to the HD Graphics 4000, the 7670M has a comfortable advantage of between 50 and 100% that also comes through in practice. 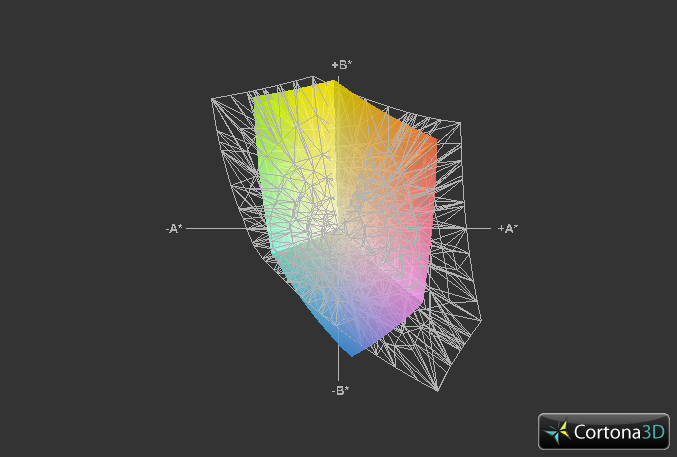 Under load, the fan spins up much higher, and reaches up to 40.4 dB(A). Thanks to its constant speed and a sound frequency that's subjectively not too bothersome, this level of noise seems acceptable and in line with expectations given the slim construction and the decent performance. Comparable notebooks like the Gigabyte U2442N or the Acer Aspire M3-581TG got sometimes considerably louder during our stress test. 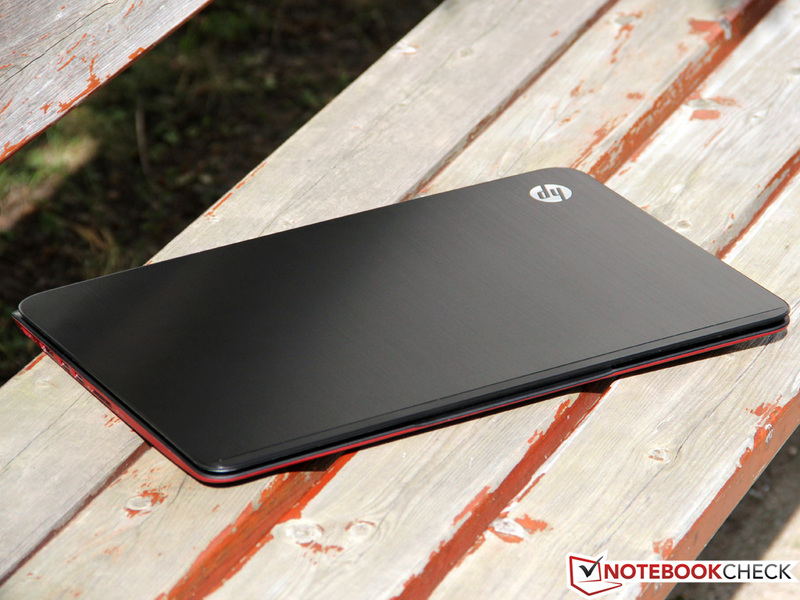 HP makes use of the aluminum surfaces to channel part of the heat generated by the CPU and graphics card out of the case. While this helps to keep the hardware cool, the effect this has on the user are less fortunate: Even at idle, the case warms up to an average of 34 degrees centigrade. After prolonged periods of full load, temperatures in excess of 40 degrees were reached, even though that sounds more dramatic than it feels in practice. Firstly, extreme temperatures of 45 degrees were only recorded near the air vent, which is located on the back and out of reach of the user's hands. Secondly, temperatures reached during the stress test represent a theoretical maximum, and will rarely be encountered in real life. On the contrary, the Envy 6 can usually be placed on your lap without problems. The efficiency of the cooling system is reflected in our temperature measurements from inside the case: After about 60 minutes of running Prime95, the Core i5 settles on about 77 degrees centigrade, while the Radeon GPU heats up to no more than 65 degrees centigrade during the FurMark test. 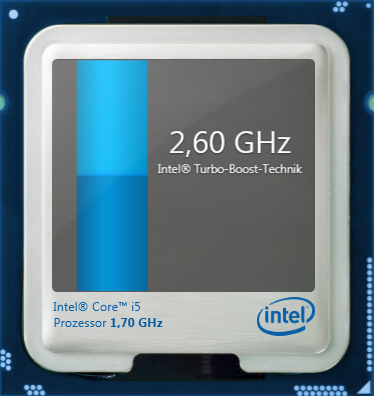 With these low values, it's surprising that HP severely restricts the processor's Turbo Boost function: After just a few minutes, the CPU throttles down to its base rate of 1.7 Ghz. In our opinion, the cooling design would be well capable of dealing with higher clock speeds. (-) The average temperature for the upper side under maximal load is 38.9 °C / 102 F, compared to the average of 30.9 °C / 88 F for the devices in the class Multimedia. (-) The maximum temperature on the upper side is 49.6 °C / 121 F, compared to the average of 36.5 °C / 98 F, ranging from 21.1 to 71 °C for the class Multimedia. (±) In idle usage, the average temperature for the upper side is 34 °C / 93 F, compared to the device average of 30.9 °C / 88 F.
A large "Beats Audio" sticker is prominently displayed on the box, suggesting exceptional sound quality. Two stereo speakers located above the keyboard and a small subwoofer hidden within the case are tasked with keeping that promise. In practice, our high expectations were only partly fulfilled. The audio presets configured by the manufacturer are all biased towards the high end, but lack mid tones and bass. With a few adjustments, however, a pretty well balanced soundscape can be reached, with the exception of basses that remain disappointing. Still, the speakers are adequate for playing the occasional movie or music and deliver a volume adequate for filling a medium sized room if required. Hi-Fi aficionados will be able to connect their home cinema system via the HDMI adapter, while headphones can be connected to the 3.5 millimeter audio jack. 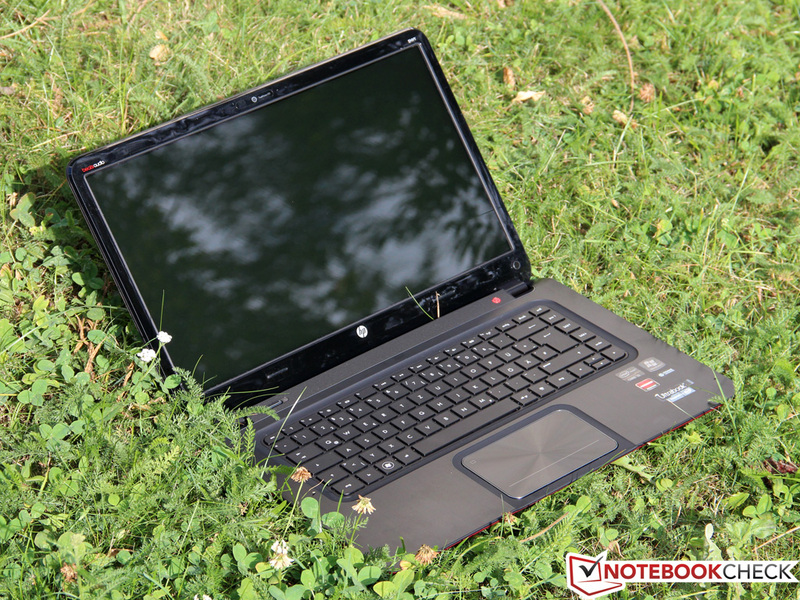 Unlike most Ultrabooks, which are optimized to consume as little power as possible, HP tries to strike a balance between performance and energy efficiency with the Envy 6. Thanks to the dynamic graphics switching, the approach works very well at idle: only 6 to 8.4 Watts are the hallmarks of a perfectly configured system, and match the values of most competitors that don't include a dedicated GPU. Due to the fact that the Radeon HD 7670M is manufactured in the 40 nanometer process, we expected a relatively high power uptake during games. But far from it: In 3DMark 06, the laptop contends itself with only 37.6 Watts, and the 42.4 Watts during the stress test represent a remarkably low value, too. To be fair, these figures are largely resulting from the inactive CPU Turbo Boost - during the first few seconds when the CPU runs at 2.4 Ghz, the power consumption slightly exceeds the 50 Watts mark. Nevertheless, the Envy 6 does a remarkable job in this area, on par with the Acer Aspire V5-571G, which features a 28 nanometer GPU. 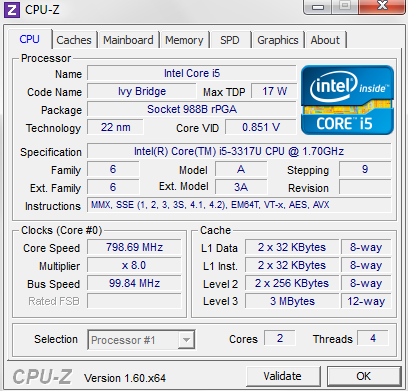 The power supply is rated at 65 Watts, which is adequate for this laptop. The inclusion of a large 60 Wh battery is intended to provide good battery life - up to 8 hours are promised by the manufacturer. Our tests show that HP really has not been overly optimistic with that statement. Under optimum conditions (energy saving settings, minimum display brightness, wireless modules disabled), we managed more than 9 hours during the Battery Eater Reader’s Test, which put the Envy 6 among the best of the competition. 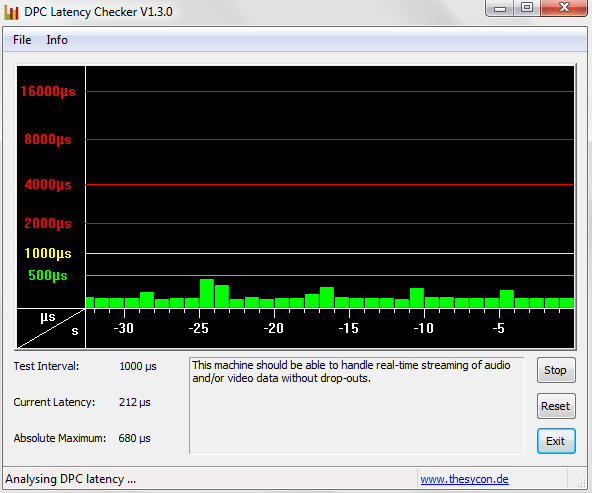 Even in the more realistic WLAN test (energy saving settings, display brightness 150 cd/m²), the user can browse the web for almost six hours before the notebook needs to be plugged in again. 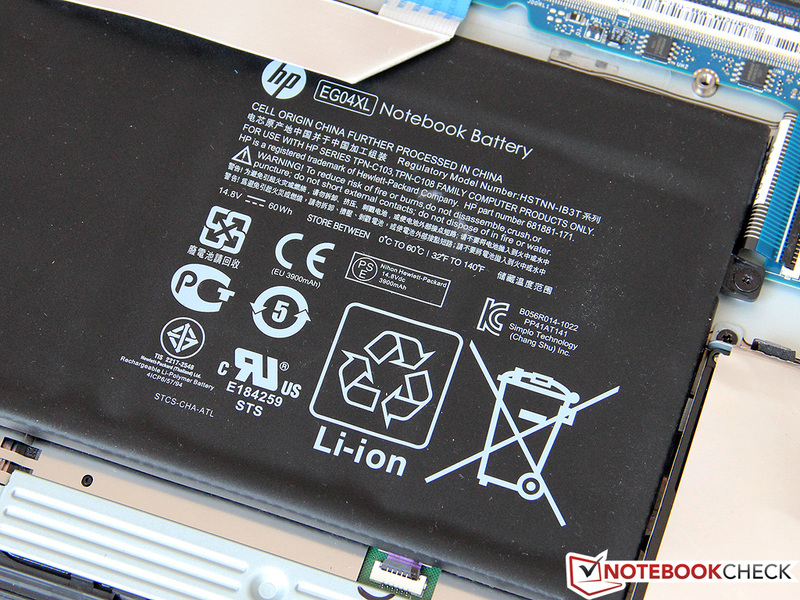 In terms of battery life, the HP Envy 6 outperforms both the Aspire V5-571G as well as the Zenbook UX32VD, both of which are equipped with smaller batteries. 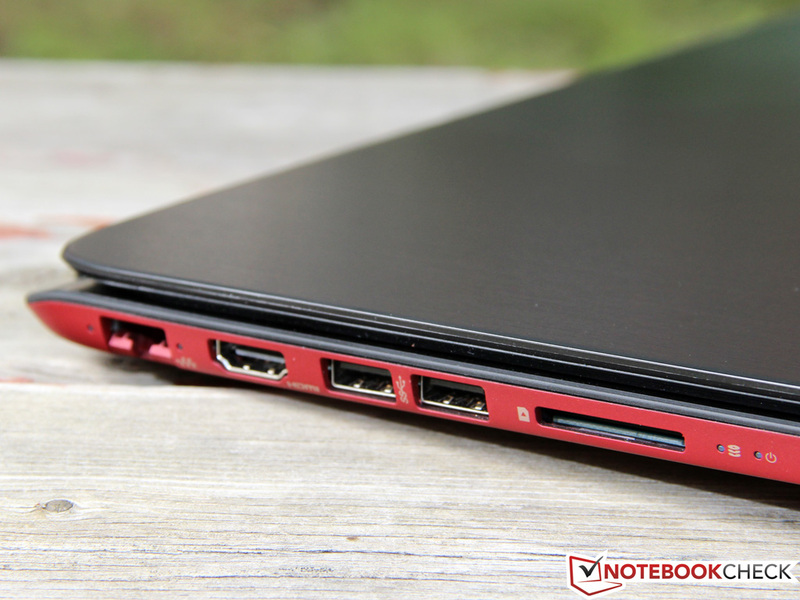 Under maximum load, simulated using the Battery Eater Classic Test, the notebook benefits from the reduced GPU speed and manages a run time of a full two 2 hours. The required charge takes about 15 minutes more, depending on whether or not the laptop is in use while charging. Ultrabooks are coming of age: Thanks to its dedicated graphics card, the HP Envy 6-1000sg can be transformed from an enduring travel companion into a gaming-capable all-rounder if required. Even though the Radeon HD 7670M may no longer represent the cutting edge of technology, it is still capable of running most current games fluently, and also wins our favor with a surprisingly good power efficiency. At idle, the Envy 6 works just as economically as most of its competitors, and reaches a superb battery life that exceeds even the manufacturer's claims. 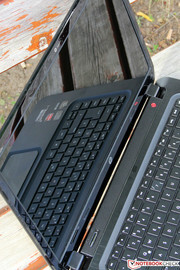 Unfortunately, the inferior screen disqualifies the notebook for outdoor use. 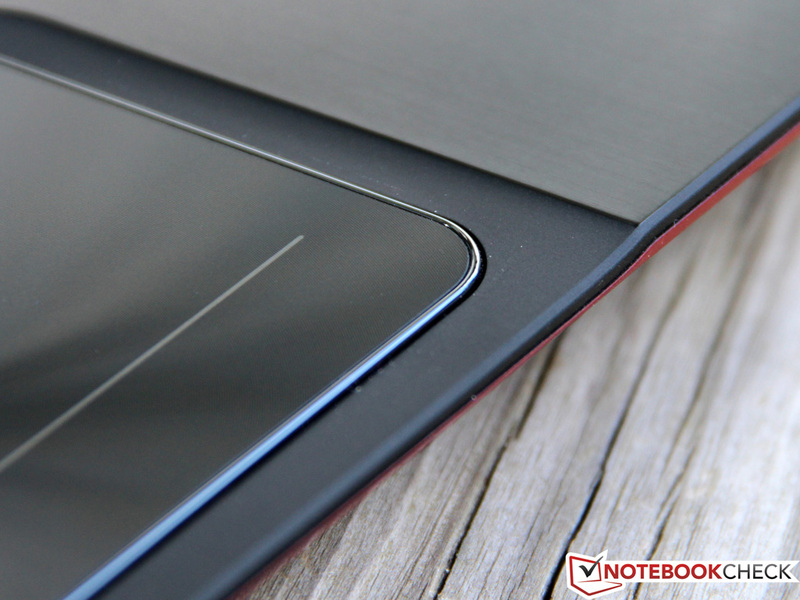 Both the sub-average brightness and the glossy finish keep the user locked indoors - a double blow, considering that the Ultrabook has been designed for portability. The poor Wi-Fi reception just adds to the poor performance here. We're left with a slightly ambivalent feeling: For about 750 Euros (~$969), you get a well-made multimedia notebook, but judged by the key criteria of an Ultrabook, it falls short. In the same price region, there are both more powerful and more mobile alternatives - HP has tried to make a compromise between the two. As a result, the Envy 6 is perhaps most directly comparable to models such as the Aspire V5-571G or the Aspire TimelineU M5-581TG, both manufactured by Acer. We weren't able to establish a clear front runner, so the buyer is left with the choice depending on personal preferences, and has to balance price, performance and features. Despite the subwoofer, the sound quality lacks bass. The input devices are of average quality. Prolific typists would appreciate a better feedback from the keyboard. 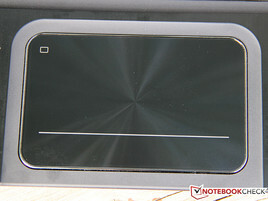 A shiny metal frame adorns the touchpad. the screen is too dark and shows strong reflections. and where it can be opened if necessary. We would not recommend this procedure to beginners. or the hard disk can be replaced. 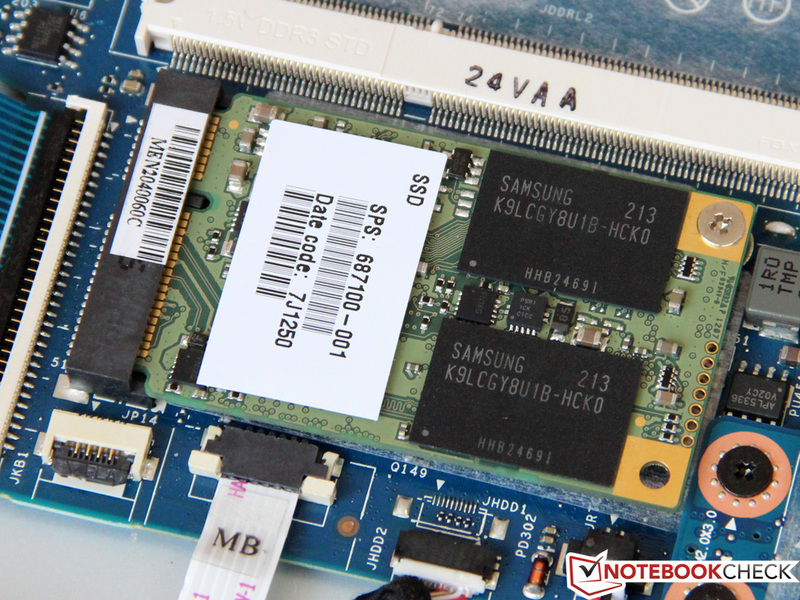 HP has fitted a 32 GB module by Samsung to the mSATA slot. but also the Beats Audio system. A collapsible LAN port is also included. 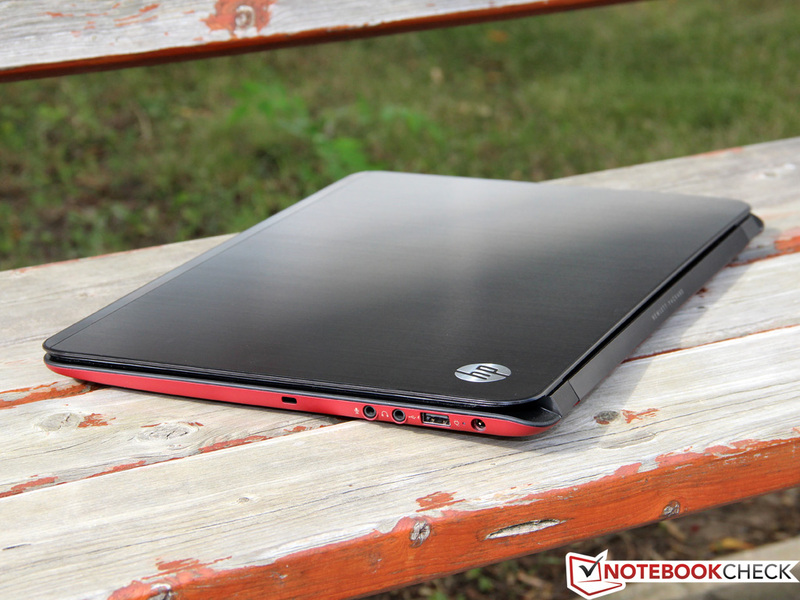 the Envy 6 is a typical Ultrabook. but with a weight of only 2.15 kg it remains portable. Thanks to the firm aluminium, that also looks the part. making many competitors look sad and dull. Much less convincing is the low range of ports. two of which support the fast USB 3.0 standard. The battery is fixed, and provides 60 Wh of power. 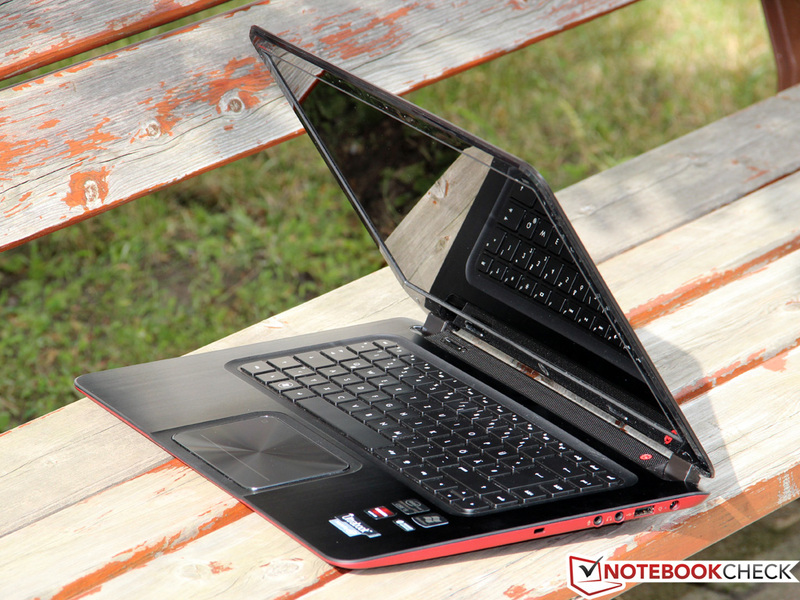 Unlike most of its rivals, the Envy 6 is ready for more than just web browsing and mobile work: The dedicated Radeon graphics card qualifies the Ultrabook as a combile companion for the next LAN party. Gamers may not always be able to play at the highest settings, but the HD 7670M beats the integrated HD Graphics 4000 by a mile. 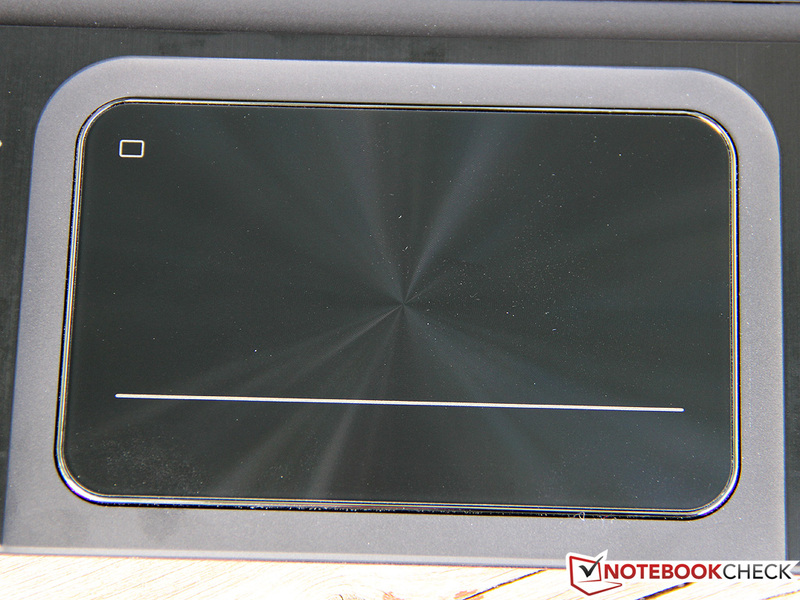 As we've seen so often, it's the display that prevents a better rating: poor contrast, glossy and much too dark, it's the weak spot of an otherwise pretty decent notebook. Surprisingly, the Radeon HD 7670M that's still made in the old 40 nanometer process appears to work just as efficiently as Nvidia's new 28 nanometer GPU GeForce GT 620M. 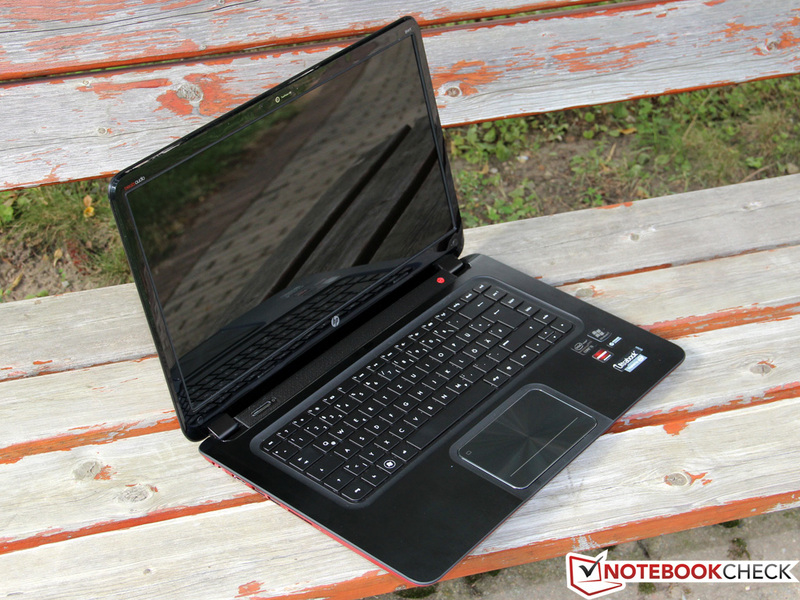 Even though it isn't an Ultrabook, the Acer Aspire V5-571G has much in common with the Envy 6. 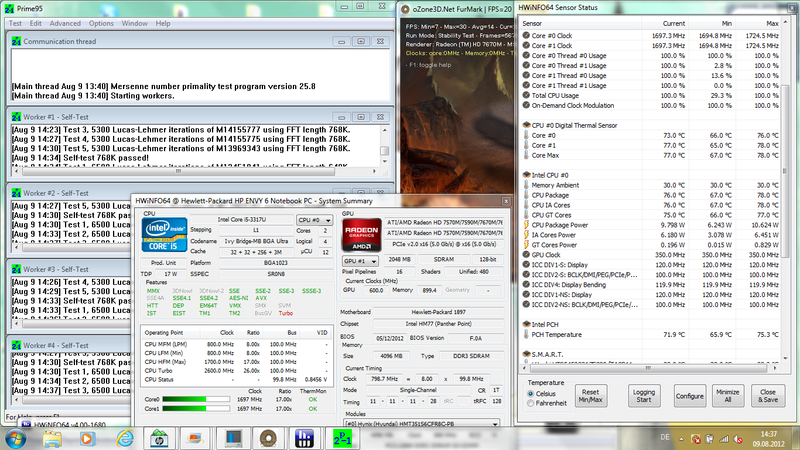 Another alternative with an even faster graphics card is the Aspire TimelineU M5-581TG. 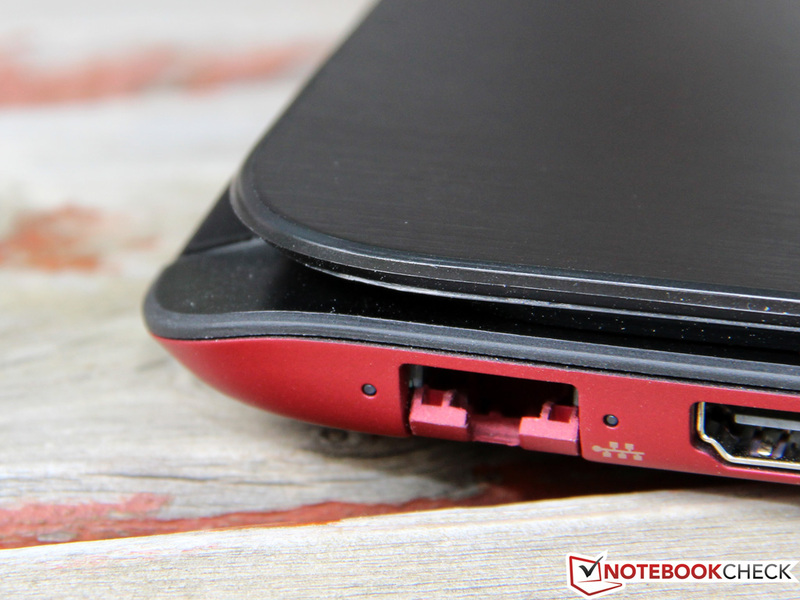 Most other Ultrabooks like the Lenovo IdeaPad U410 either cannot keep up, or cost a lot more, like the Dells XPS 14.